The Thermador brand is an outstanding product for the home.Trustworthy and reliable, the Thermador brand is always worth repair whenever possible. We’re Factory Certified for Thermador Appliance Repair. 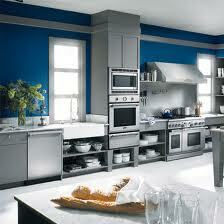 Our technicians have over 20 years of experience with Thermador repair. Give us a call at 208-938-1066 to schedule service today, or schedule service online! Did You Know? At Cody’s Appliance Repair, we’re always eager to repair a Thermador appliance. By choosing repair, you’ll keep money in your wallet and trash out of the Valley’s landfill. Repair is the ‘green’ way to go! Cody’s Appliance Repair is factory certified warranty service for all Thermador major appliances. When you hire Cody’s Appliance Repair to repair your Thermador appliance, you can have the peace of mind that we participate in ongoing training and certification from the manufacturer to further our knowledge and expertise on their products. Plus, our technicians receive extensive background screening and drug tests for your safety and security. If you need Thermador Appliance Repair in Boise, Eagle, Meridian, Nampa, Caldwell, Star, Middleton, Emmett, Kuna or Horse Shoe Bend, call us at (208) 938-1066 or schedule service right online. Call us today! We are here to help.